I’m back playing guitar. As a result, I made some photos from my guitars. Mostly close up shots. 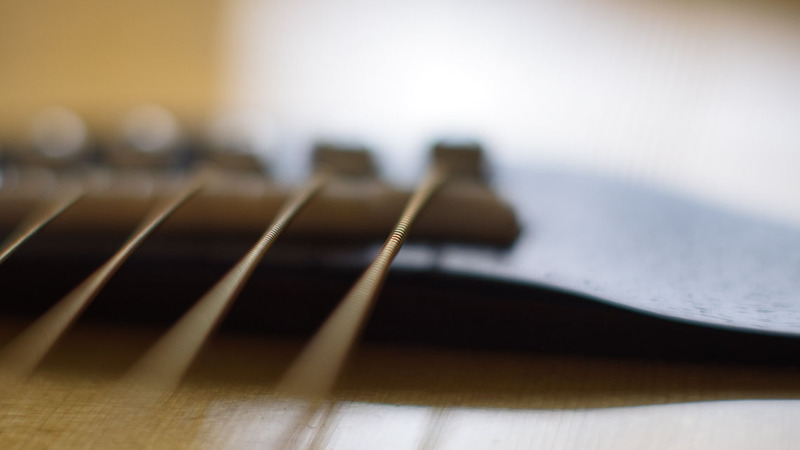 This particular photo from the bridge (acoustic guitar) has a very shallow depth of field. I quite like the way it looks.